SpeedPro East Bay has been working hard for the month of September and we don’t plan on slowing down anytime soon. We have a few events to look forward to for the month of October and we hope that you’ll be along with us for the ride. Up first is the Northern California Yacht Fest at the Grand Marina Village Yacht Harbor in Alameda. 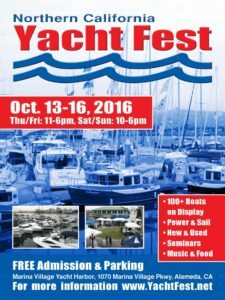 The yacht fest is Oct 13-16 and it’s basically a big celebration of boating! We decided to take place in this event since we’ve been serving a lot of local clientele with their boat lettering from design to print to installation. With over 140 boats taking part and numerous yacht brokers and vendors attending, we anticipate meeting everyone. It’s free to attend and there will be music, food, boat rides, and more. Definitely, come out at least one of the four days and say hi. 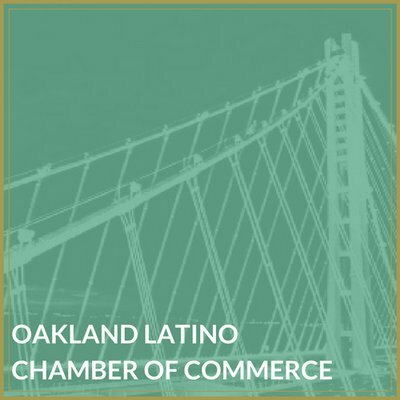 Up next is the 2016 Alameda Chamber of Commerce Business Expo & Conference. 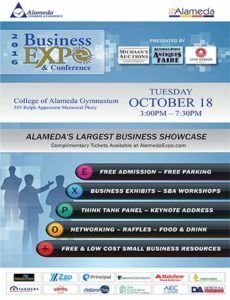 This is the largest business showcase that takes place in Alameda and it is great for local businesses. It takes place on Tuesday, October 18th, so it’s a one-day event that you won’t want to miss. This expo gives businesses the opportunity to network and share their services with other small businesses that may be useful to them. This is another free event that includes raffles, food/ drink, and lots of good opportunities to meet new people and grow your business. 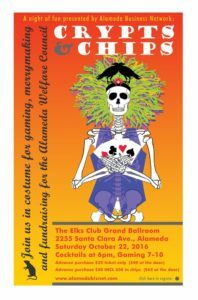 Finally, the Alameda Business Network is hosting a Crypts & Chips event for any and everyone. This event is not free but all proceeds from this go to the Alameda Welfare Council which includes groups like Girls Inc., Alameda Boys & Girls Club, Alameda Meals on Wheels, and more. the opportunity to win raffle prizes including a week-long stay at an all-inclusive Hard Rock resort! If you’re looking for a fun night out, come hang with the SpeedPro East Bay team at this event. And don’t forget to check out the other ones too!